Gold collar: Asos (sold out)(similar, similar), Jacket: Uniqueen in pink / blue version here (borrowed from Jean), Shirt: H&M (recent) (similar), Bracelete: Yurman, Ring: T&Co. I love the second outfit. I'm bummed I missed out on that skirt last year. Wish H&M had a color like that in their wool mini. Love the necklace in the last look. Gorgeous outfit. You are so pretty too. 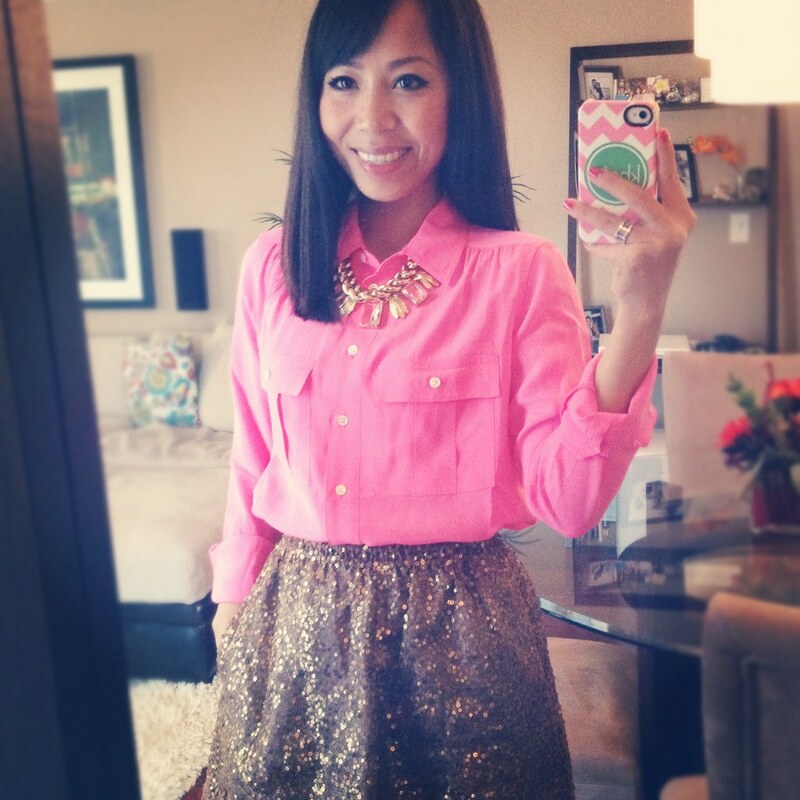 The first look with the pink top and sequin skirt and the last look are my fav's! Love your style! Such great outfits! 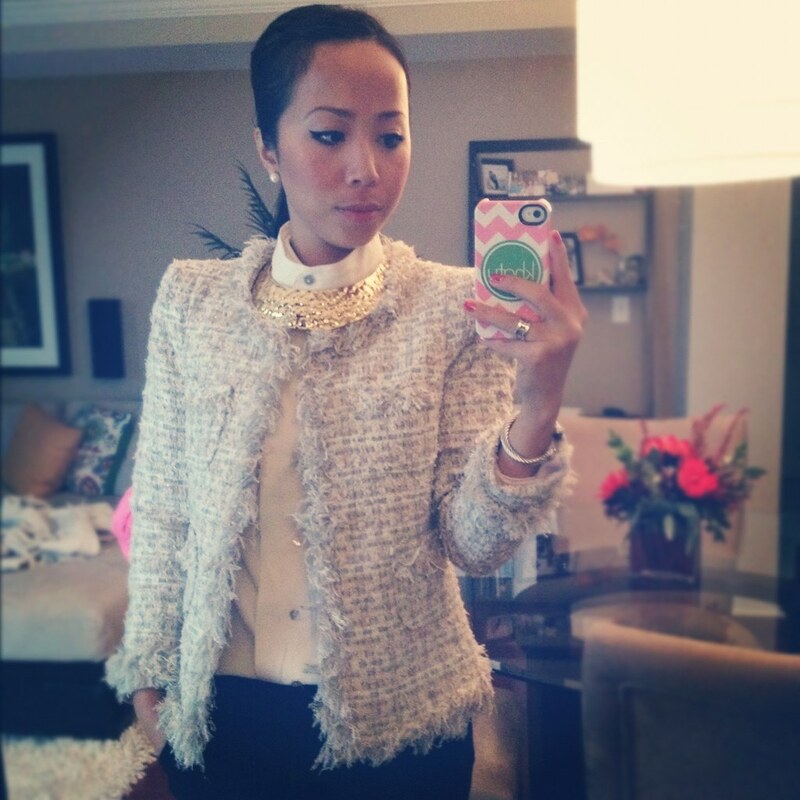 You seriously are the queen of layering... the collar necklace in your last outfit is gorgeous! Such sophisticated outfits! 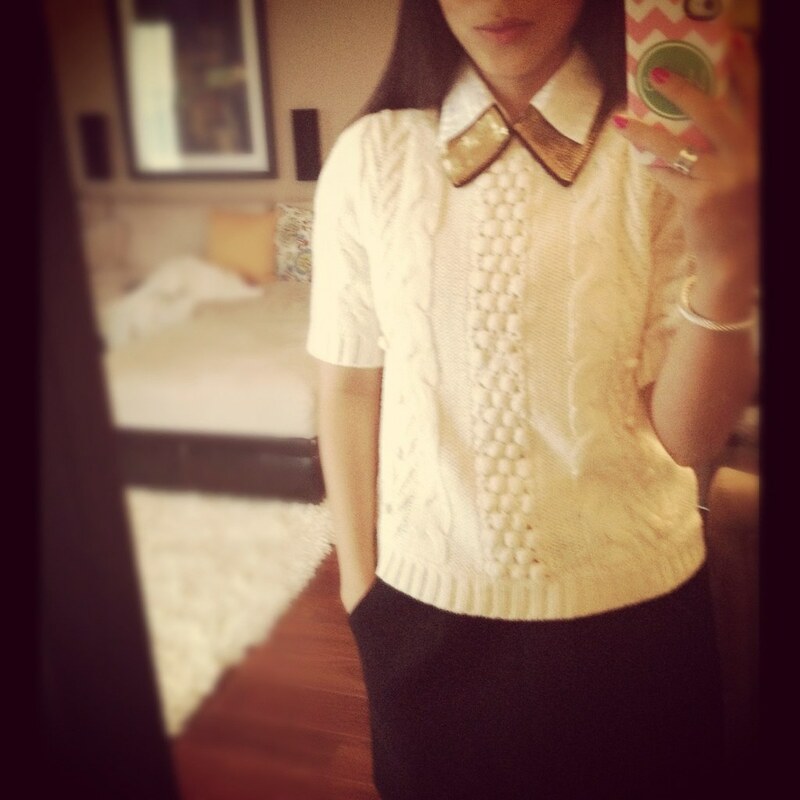 That ASOS collar is genius! You dress so well. All. The. Time. 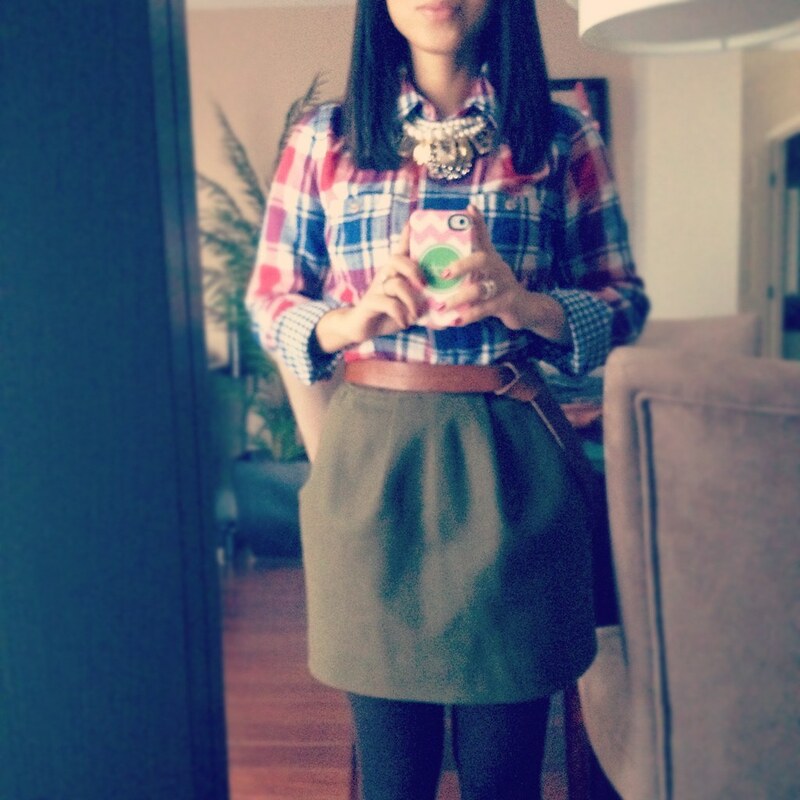 I love your sequined skirt and that little plaid shirt! I'm loving that first outfit - how fun! I like that it's so festive and holiday appropriate without being red/green. I love the jacket in the last picture! Awesome!